562 pages | 26 B/W Illus. Based upon a three-year multi-disciplinary international research project, Political and Civic Participation examines the interplay of factors affecting civic and political engagement and participation across different generations, nations and ethnic groups, and the shifting variety of forms that participation can take. Why do many citizens fail to vote in elections? Why are young people turning increasingly to street demonstrations, charitable activities, consumer activism and social media to express their political and civic views? What are the barriers which hinder political participation by women, ethnic minorities and migrants? How can greater levels of engagement with public issues be encouraged among all citizens? 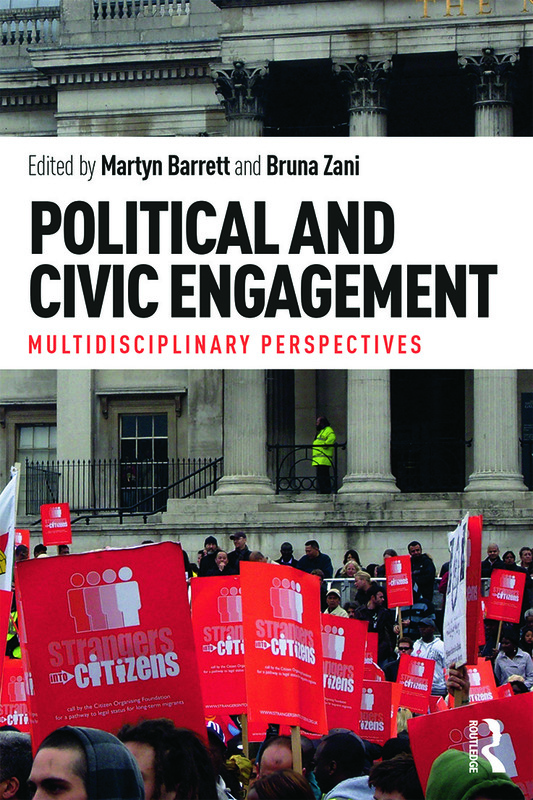 Together, the chapters in this volume provide a comprehensive overview of current understandings of the factors and processes which influence citizens’ patterns of political and civic engagement. They also present a set of evidence-based recommendations for policy, practice and intervention that can be used by political and civil society actors to enhance levels of engagement, particularly among youth, women, ethnic minorities and migrants. Political and Civic Participation provides an invaluable resource for all those who are concerned with citizens’ levels of engagement, including: researchers and academics across the social sciences; politicians and political institutions; media professionals; educational professionals and schools; youth workers and education NGOs; and leaders of ethnic minority and migrant organizations and communities. Martyn Barrett is Emeritus Professor of Psychology at the University of Surrey, UK. Bruna Zani is Professor of Social Psychology at the University of Bologna, Italy.